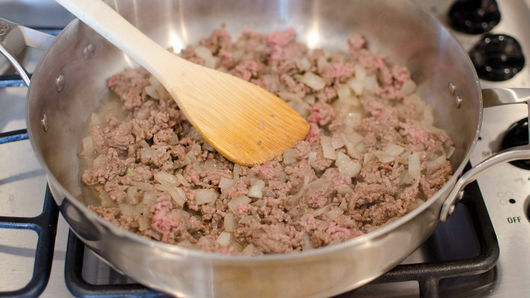 In 10-inch skillet, cook 1 lb lean (at least 80%) ground beef and 1 onion, peeled and diced, over medium-high heat until beef is thoroughly cooked, breaking up beef as it cooks. Drain. 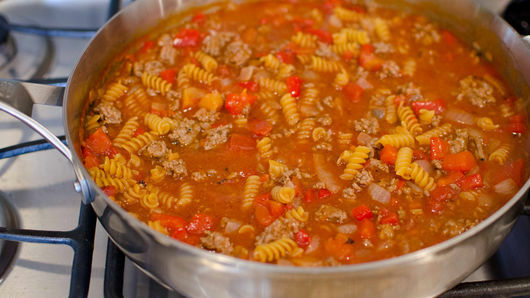 Add 1 package (1.31 oz) sloppy joe seasoning mix, 1 can (15 oz) tomato sauce, 1 can (14.5 oz) Muir Glen™ organic fire roasted diced tomatoes, undrained, and 1 jar (12 oz) roasted red bell peppers, diced and juice reserved. Stir to combine. Heat to boiling over medium-high heat. Add 12 oz uncooked rotini pasta; toss until pasta is submerged. 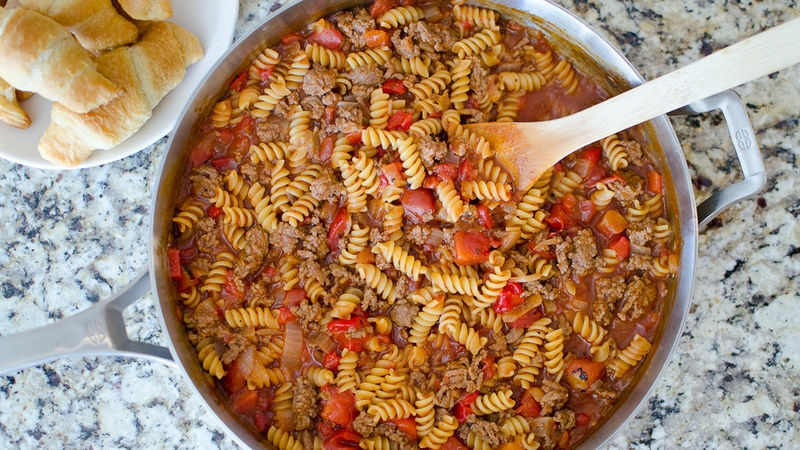 Cover and cook 7 to 8 minutes, stirring occasionally, until pasta is tender. Top with a sprinkle of your favorite cheese, if desired. Don't have roasted red bell peppers? Try using a diced fresh red bell pepper, and cook with the onions.